Known for their power and presence, Jeep's range of 4x4 vehicles need no introduction. 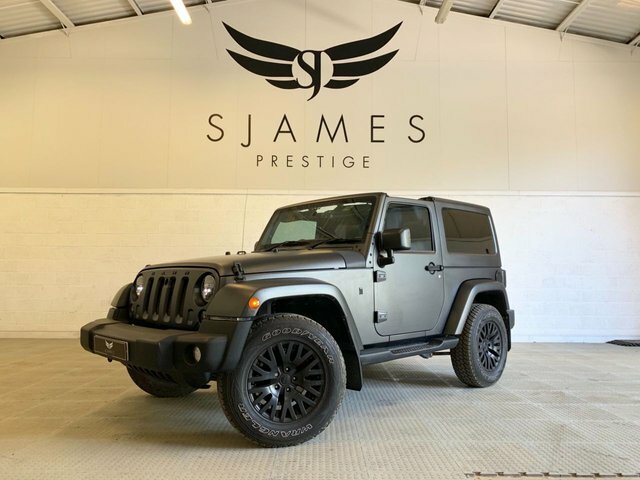 Finding a great deal on a used Jeep for sale in Essendine is no problem at all when you enlist the help of the team at S James Prestige Limited. We've years of experience helping customers to find the right used cars to match their lifestyle and budget, and we'll always go the extra mile to ensure you're 100% happy with your new vehicle. Browse our latest range of used Jeep Cherokee models if you're looking for a reliable and ultra-stylish SUV, or turn to a used Jeep Renegade if thoughts of adventure are never far from your mind. Browse our complete stock online now. Finance is available to UK residents aged 18 years or older, subject to status. Terms & Conditions apply. Indemnities may be required. Other finance offers may be available but cannot be used in conjunction with this offer. We work with a number of carefully selected credit providers who may be able to offer you finance for your purchase, commission may be received. We are only able to offer finance products from these providers. Postal Address: S James Prestige Limited, Wakerley Works, Bourne Road, Essendine, Lincolnshire PE9 4LT. Find contact details here.